Not my usual product, but in an effort to fund a New Project (NP) with out asking for prepay, an idea to generate required tooling funds. 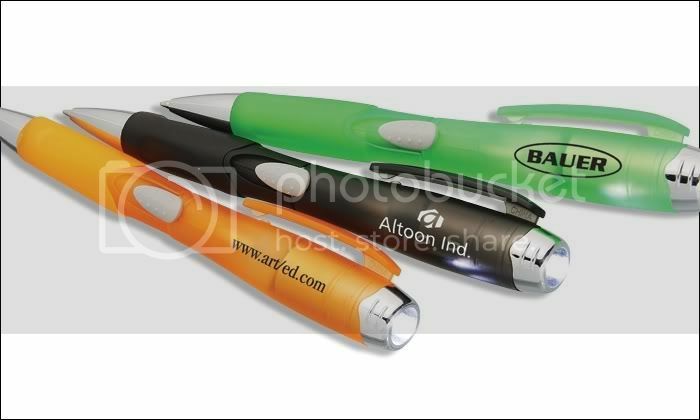 I am looking @ purchasing these cool pens that have a LED in the end with the Lummi logo printed. We may print a clue to the NP on the Pen also. The idea would be to charge £5 GBP or $10 USD per pen including shipping worldwide. Please do not try to guess what the NP is publicly. I will not answer any questions or guess's to keep the NP under raps. It does not have to be top secret but I figure it will be part of the fun. I see no harm in this method, If we sell enough pens the NP goes ahead. If we do not sell enough pens I can not fund the NP at this time, nothing lost the pens will still be delivered. *Allocation to the New Project (NP). Not wanting to divulge the NP at this point in time. 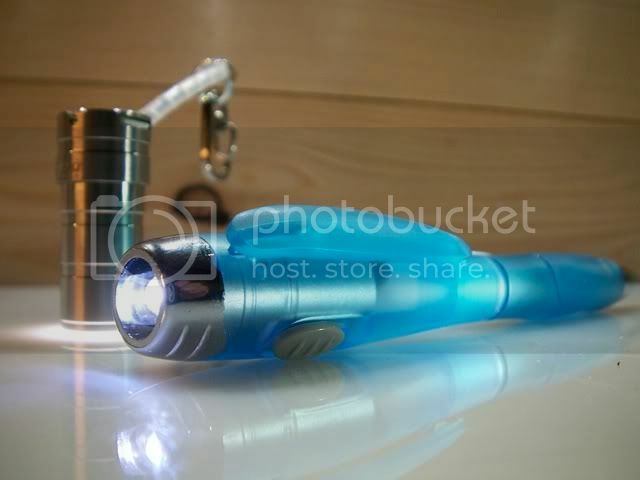 It is not a LED torch / Flashlight but it is of interest to a flashaholic. The retail cost will be below £15 each. NP requires tooling costs which is why I am trying to generate the funds with this method. Purchase of the Pen will add you to our customer base providing you a guaranteed opportunity to purchase the item related to the NP. Purchase of the Pen does not mean you have to be interested in the NP or have to purchase the NP. Funds to purchase the tooling required. Your email address to contact you when the NP is available. An idea on how many people are interested in the NP. 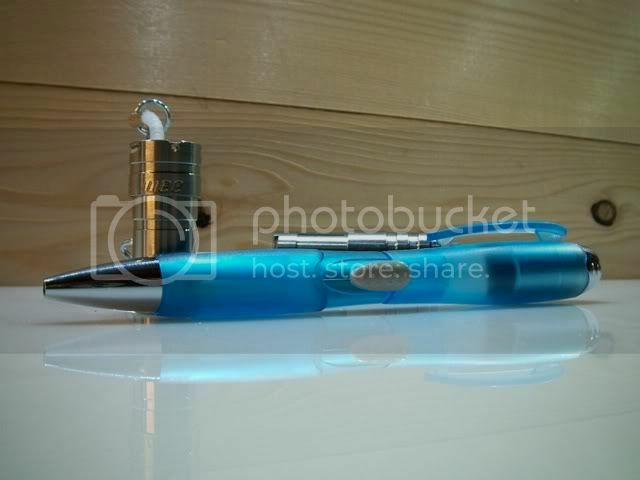 I will have a sample of the Pen next week, Lead time on the pen is 5 days. I am keen to see if we can make this work. To coincide with the NP I am just adding the final content & hosting to a new look easy to update website for Lummi. I am really pleased with this, I have managed to do it all myself (Mac aided) with some cool features. The main benefit is the clarity of information & the ease to keep updated. Once it is up, it will run along side the current site for now. Link will be posted here. All This info with a buy now button will be on the new site within the next few days. Please spread the word, these are also very cool pens. I left my lights at home a couple of days ago so I need a backup! Quality is good for the cost & the 5mm LED is fairly bright. Powered by 3 x LR41 which are easy to replace. Blue ink on the sample. I will be putting in the order today for Black body with White Lummi logo. Please remember this is mainly about supporting Lummi & to assist with funding for the NP. Please inform me of any errors etc.